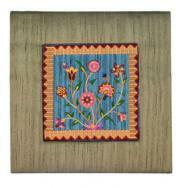 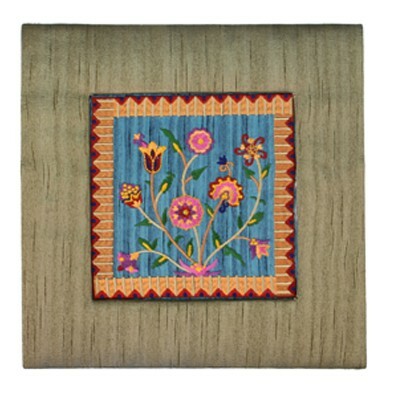 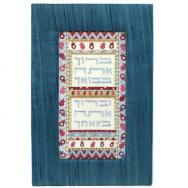 Yair Emanuel’s embroidered pictures are made of raw silk fabrics and colorful embroidery, stretched over a firm frame. 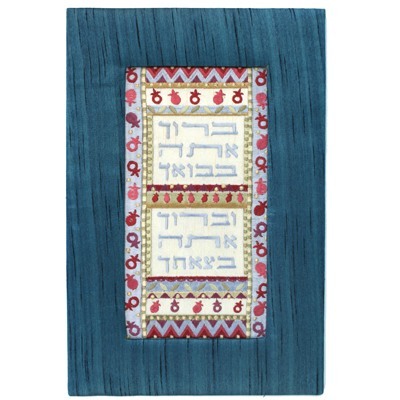 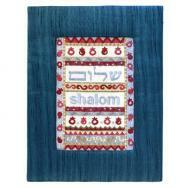 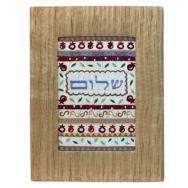 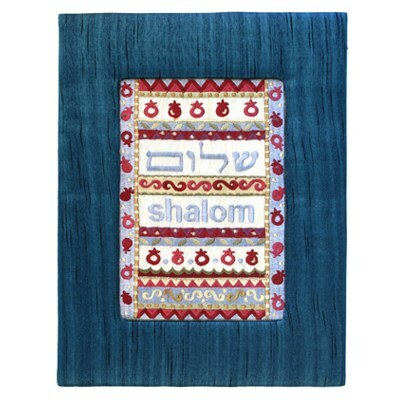 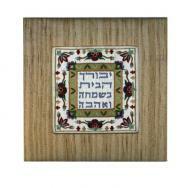 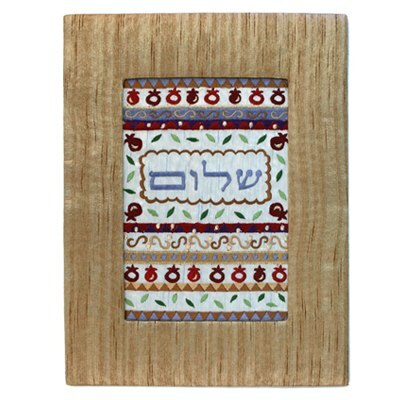 The pictures come in various colors and inscriptions of the words "Shalom" and the Blessing for the Home, and are suited for decorating both the home and the office. 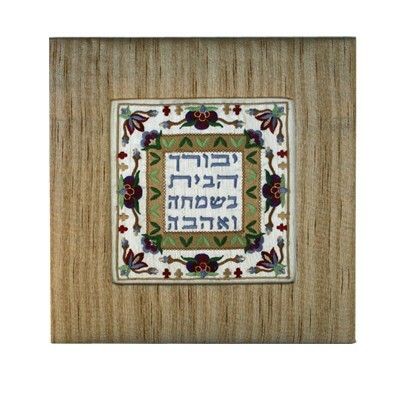 Designs of Jewish motifs, such as pomegranates and flowers, adorn the pictures.